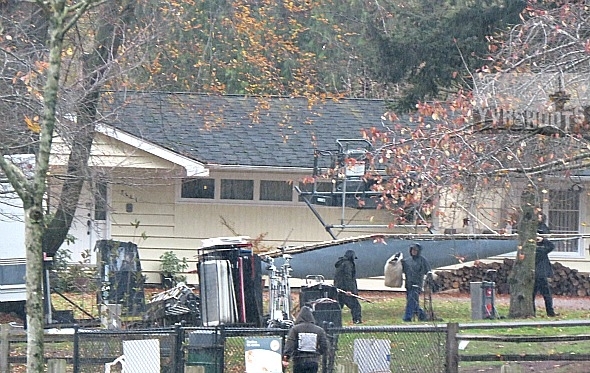 Supernatural filmed for the second day at Sheriff Jody Mills’s house played by a south Burnaby ranch house opposite David Gray Park. 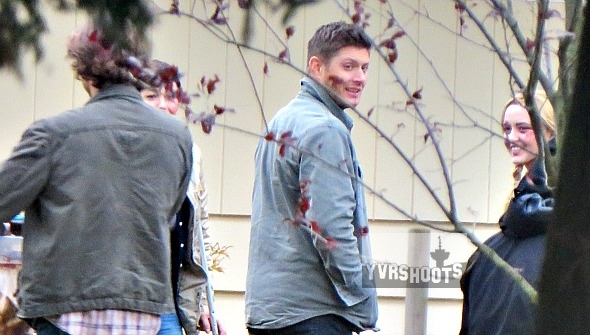 News that Sheriff Mills is back for an episode does not seem like a big spoiler but there could be more to it.. Kim Rhodes and Jensen Ackles hung out while crew set up at the Impala and Sheriff Mills’s truck, cracking each other up. 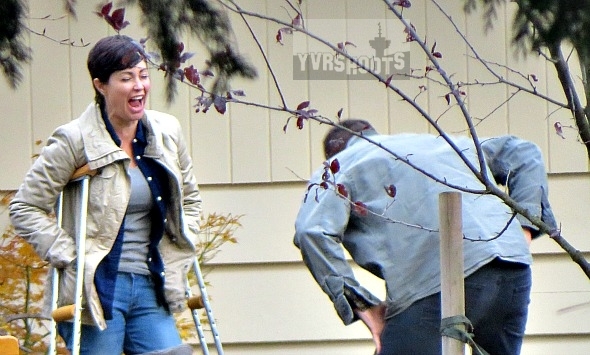 Related: Supernatural Films Sheriff Mills (Kim Rhodes) at Vancouver’s Gladstone Senior Secondary. 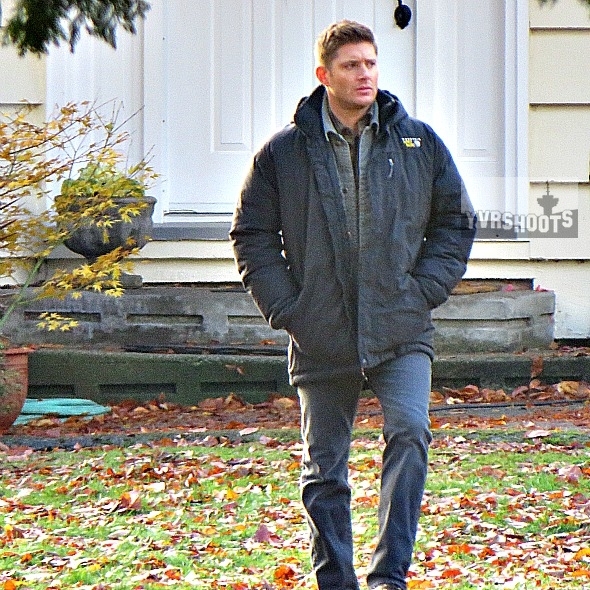 Joined by Jared Padalecki and Kathryn Newton.